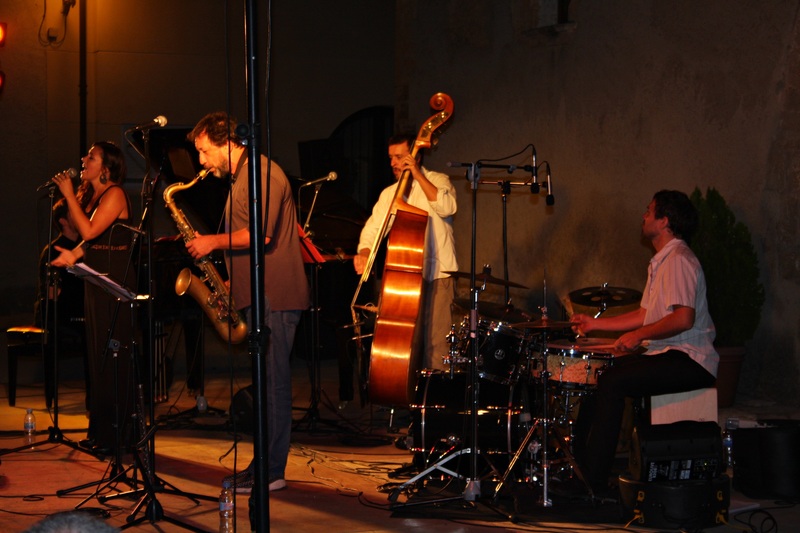 On Saturday 20th July 2013, the XI Festival de Musica a les Vinyes, Subirats (Penedès Barcelona) opened with the music of the Argentinian quartet Rocio Faks and the guest saxophonist and flautist Gorka Benitez. The captivating voice of Rocio Faks resonated powerfully within the walls of the courtyard outside the medieval manor house of Torre Ramona. 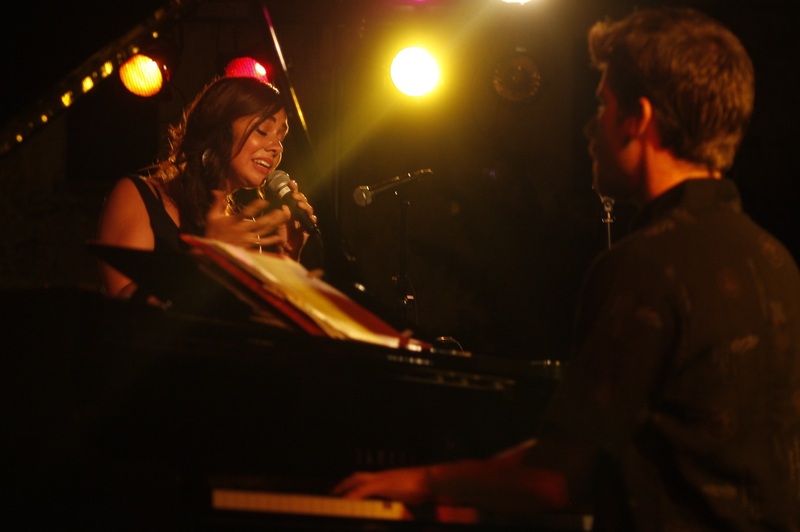 Rocio’s voice was also accompanied by the virtuous pianist Marco Mezquida, the double-bass player Paco Perera and the percussionist Salvador Toscano. Their music mirrored different geographical identities: a blend of sounds from traditional south-American melodies together with the influences of Jazz. The result was a concoction of new harmonies and rhythms. Breaking the frontiers of modern Jazz, Rocio Faks gifted the public with a superb performance. The repertoire consisted of Chacarera based songs: this folkloristic Argentinian dance introduced the first notes but the music gradually built into jazz and instrumental percussion solos. An Argentinian Zamba opened the performance, followed by ‘Gatito y las penas’ where the flute appeared for the first time progressively giving way to the rhythmical solo of the drums and to the double-bass played with a bow as if it were a cello. A traditional song from Uruguay was the most touching piece: ‘Oracion del Remanso’, a poem dedicated to the fishermen of the Rio Parana’. A couple of more Chacareras drew the spectators until the end when a breath-taking Tango (‘Sur’) and the final Peruvian dance Festejo ‘Ay va llorar’ closed the show. 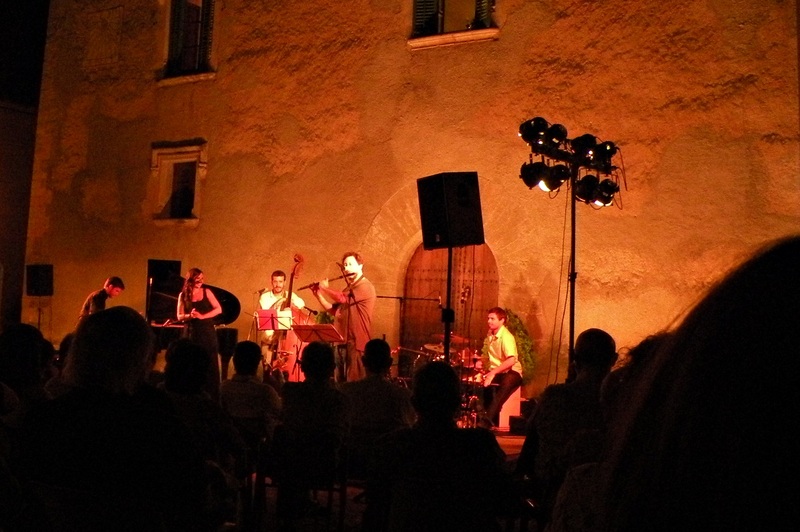 The music of Rocio Faks quartet was engaging, heart-melting and made it possible to drift off from reality. The mellow voice of Faks paired wonderfully with the violent Chacarera beats of the percussions. 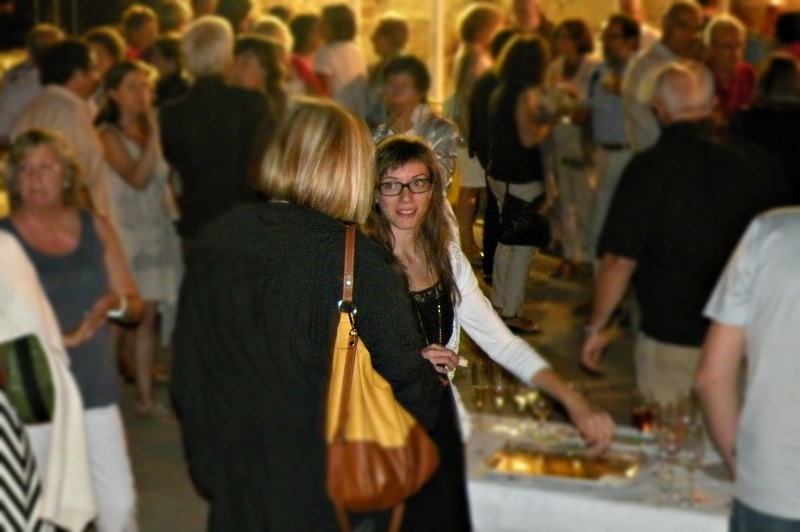 The evening ended with yet another pleasure: the ‘Patronat de Turisme de Subirats’ offered a tasting of Cavas showcasing different local producers. 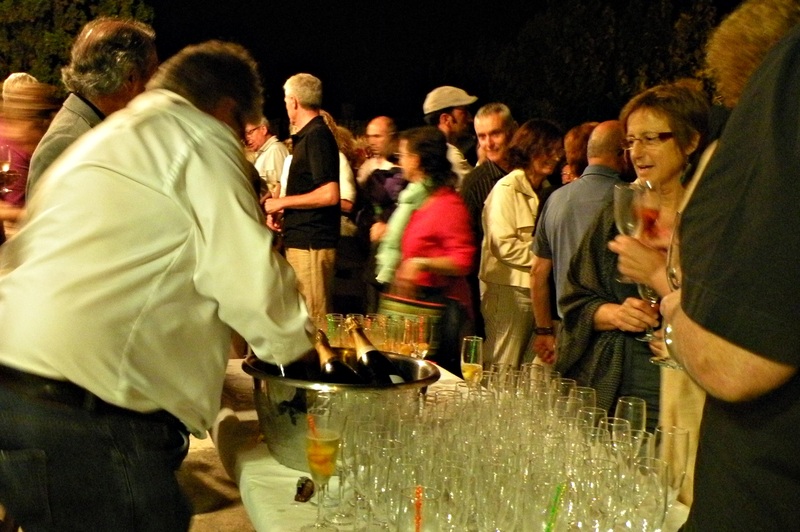 The cava was served with local peaches from Ordal and paired with coca (not to be confused with the drug :)) – a sweet pastry typically made and consumed in Catalonia. 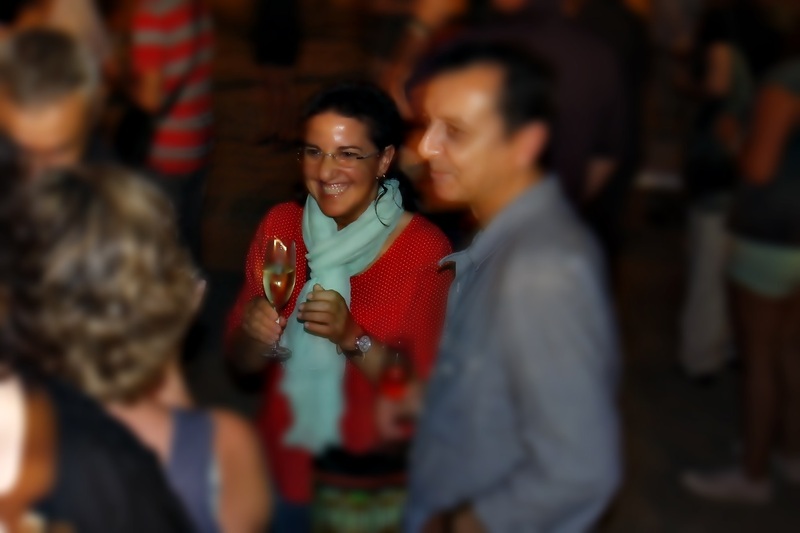 It was a warm and pleasant evening of music accompanied by the refreshing, bubbly notes of Cava and a jolly atmosphere: the people, the music and the wine joined together paying homage to the beauty of the lands of the Penedes.